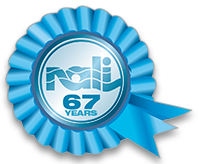 NALI Members can be found in many towns and cities throughout England, Wales, Scotland and Nothern Ireland. If you are looking for one nearer you than those shown below, please CONTACT US with your name and postcode. If you are a Member and would like your business profile here, please get in touch with a photo or two of your shop and a brief resume or a link to your website. 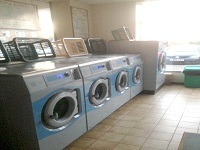 If you run a launderette and are not yet a Member, maybe now is the time to join and reap the benefits of Membership. With 11 launderettes around Blackburn, Chorley, Accrington and Oswaldtwisle there is a Washbowl near you. Our self-service coin operated machines are open 7 days a week from 8am. Whether you are completing your weekly wash or having a spring clean our range of machinery sizes can suit every laundry need. Drying only customers are welcome. Service washing and ironing services are also available by arrangement. This family run business takes pride in serving the local community. For more information visit www.washbowl.co.uk or find us on Facebook. 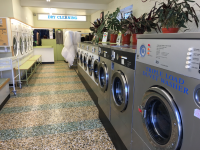 St James's Laundry centre has now been running in the same family for fifty years. 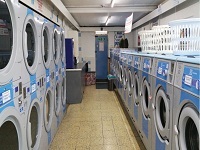 The launderette is in the heart of the community and also provides some social respite to elderly and single people. Customers come from far and wide to use our machines or to have a service wash and dry. We do allow drying only but this is at the discretion of the attendant who ensures that customers using our washers take precedent. Fully staffed shop, open 7 days a week, service washing constantly available. If your washing basket is full to the brim and you haven't got time to do it yourself, that's where Bubbles Launderette can help. 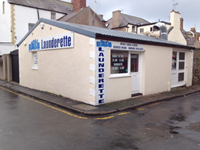 Pop down to see us no matter what laundry services you require. Spring Clean is a chain of Launderettes & Professional Dry Cleaners. We have 4 shops around the South Manchester region.It's a family run business and we have over 40 years experience in the garment care industry. 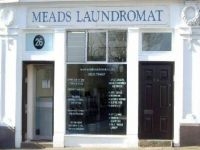 We have friendly staff on hand to look after all your garment care needs.